During my degree I did some part time work for Princess Yachts, which eventually developed into a full time position after graduation. I moved to Mallorca with Princess to open a new office for them, but I subsequently left and opened my own business in Spain. I sold my business and returned to the UK where I set up as a consultant. I then went to work for Burgess and launched a new business for them and developed the OceanStyle brand. 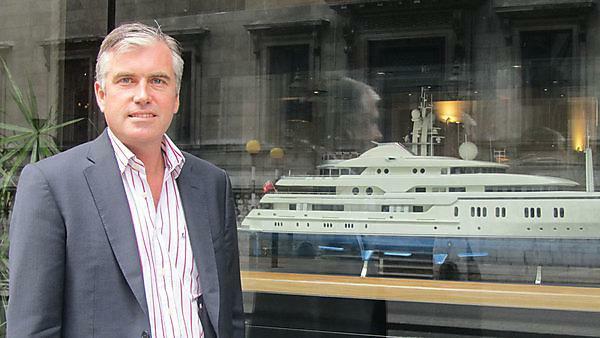 I then became a main board director of Princess Yachts looking after the superyacht division. I returned to Burgess and launched the business in Asia and am currently working to develop the team through Asia. When I left university the UK was in recession and I had not intended to launch a career in yachting. The main change was a shift in focus from smaller motor yachts to the superyacht market. The financial crisis hit the yachting industry hard; however, we did manage to ride the storm effectively and without making redundancies, which was a unique position in our line of business. The interactive and personal aspect of my work means that I meet very interesting and successful entrepreneurs, which I have always found fascinating and rewarding. The establishment and running of the British Student Yachting Nationals, as well as running the Offshore Sailing Group, was a superb opportunity and an invaluable insight into entrepreneurship and provided the basis for succeeding within the yachting sector. Plymouth is in a great location and if you enjoy water sports or the great outdoors you have Dartmoor, the South Hams and Cornwall right on your doorstep. Along the Barbican and Hoe you have the diving centre, and there are so many little beaches along the coast for surfers that I can't think of a better place to study and stay active.